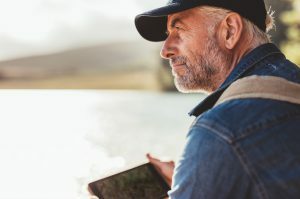 This section highlights key topics of interest to patients and families, ranging from what is cancer to prescriptions, financial support, sexuality, accommodations and more. This important information may help you, and your loved ones, prepare for your cancer care journey, during and after treatment. The Cancer Care Journey booklet (PDF) is a guide to information that may help you during and after cancer treatment. In normal body tissues, cells grow and divide in an orderly, controlled fashion, helping the body to function and repair itself. Cancer cells grow in an uncontrolled fashion for reasons that are not fully understood. Some cancers are thought to be related to exposure to elements in the environment, such as cigarette smoke while other cancers are thought to be hereditary. Abnormal cell growth can lead to the development of a mass of tissue called a tumor. A tumor may be benign (non-cancerous) or malignant (cancerous). A malignant tumor can invade neighboring tissues and organs or spread to other parts of the body (metastasis). I have questions or concerns about cancer testing or treatment. Who can help? Cancer patient navigators and social workers are available to help patients, their families and other health-care providers. They can answer questions about treatment and follow-up care. They can also help with emotional, spiritual and practical matters, such as finances and transportation. Why is it important for the Cancer Centre to have all of my test results before I receive my first appointment? Your oncologist requires specific information such as results of blood tests, X-rays and a range of other reports to determine the best possible form of treatment for you. It can take up to two weeks, and sometimes longer for test results to be available and reviewed. You will receive your appointment when this information is available. Your first visit to the cancer centre is a time when your cancer care team gathers all your medical information to treat your illness, as well as any other information that may be needed to help you and your family with cancer treatments. Learn more about your first visit. Should I continue to see my family doctor? Yes, your family doctor is an important member of your health-care team and you should continue to see your family doctor on a regular basis. He/she remains your primary doctor and should be contacted to deal with any problems or illnesses such as colds and flu, refills of prescriptions, etc., which may or may not be related to your cancer. Your doctor is made aware of your progress through regular updates from your cancer care team. Talking about cancer can be difficult. You may choose to talk about some things and not others, or you may choose to talk to only some people. There isn’t a right or wrong way to talk about cancer. 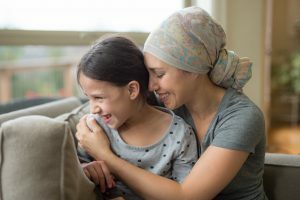 How do I tell my child and other family members I have cancer? A diagnosis of cancer has significant impact on the entire family unit. Our oncology social workers are available to help you prepare for this talk with your child or family member about a cancer diagnosis. Oncology social workers will guide you and provide you with tools that may help you, and your family, cope with the changes cancer will bring. What should I know about my sexuality during cancer? Cancer and its treatment can affect your sexuality and sexual function. It can also affect your sexual partners and your relationships. For many people, sexuality is a personal subject that is hard to talk about openly, either with sexual partners or with health-care providers. Talking openly and honestly with your health-care team about sexuality offers you the best chance of coping with any sexual changes that cancer treatment brings. Oncology social workers have specialized training in sexuality and cancer, and can be a valuable resource for you. For more information on sexuality, please visit Sexuality and cancer, Canadian Cancer Society. Is financial assistance available for cancer care patients? My family and I don’t live near a cancer care centre. Are there any accommodations available? Several accommodations options are available for out-of-town patients and/or their families who are receiving care in St. John’s, Corner Brook, Gander or Grand Falls Windsor. Please see Visitor Accommodations to find out specific locations, rates and contact information. Where can I get my prescribed medication? Your local drug store can fill your prescriptions. If you have to be away from your home community for treatment, you should ensure that you have a supply of medication and/or written prescriptions from your family doctor. Pharmacy locations can be found on the Newfoundland & Labrador Pharmacy Registry, Newfoundland and Labrador Pharmacy Board. Once your treatment is finished, you may find you have mixed feelings. Give yourself some time to come to terms with what you have been going through. Your care team will discuss a follow-up plan with you. You will be followed by your cancer care team and your family doctor. Talk to your care team about getting back to work and to normal activities. Palliative care assists patients who are dealing with life-limiting conditions, as well as their families and caregivers, to live well each day by ensuring the best possible quality of life. This may include controlling pain and other symptoms, ensuring adequate home supports, assisting with grief support, and educating and advocating for patients and their families as needed. Are there any community support groups that I can join? Yes, there are several community support groups that you can join, as well as a variety of resources to help you during your cancer care journey. To find out more, please visit the Community Resources page.